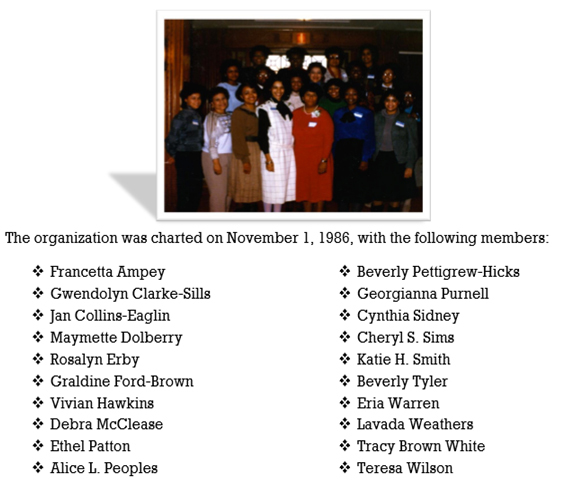 The Greater Ypsilanti Area Interest Group was founded and organized in September 1985, by Dr. Jan Collins-Eaglin and Tracy Brown White with the interest of Dr. Kenneth Hicks. The trio firmly believed that tangible goals could be reached through unity of purpose with those of similar interest, concerns, and aspirations. It was also their belief that a health situation for their children demands an active participation as well as civic, social, educational, and cultural activities for personal development. Furthermore, it was felt that it was up to the parents to stimulate, foster, and provide these activities for all children.